BaseClear offers MALDI-TOF identification services using the VITEK® MS from bioMérieux. With this identification method for bacteria and yeast samples a spectra is obtained using MALDI-TOF technology (Matrix Assisted Laser Desorption Ionization Time-of-Flight) and analysing this spectra with the VITEK® MS database. 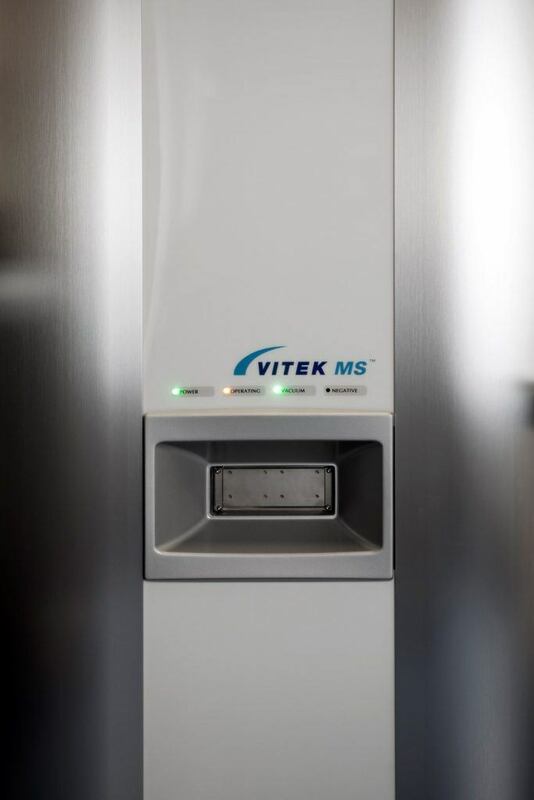 The VITEK® MS contains a comprehensive CE marked and FDA cleared database for bacteria and yeast. The peaks from the spectra are compared to the characteristic pattern for a species, genus, or family of microorganism, thus resulting in an identification. It is not possible to requests this service for mould samples, only bacterial and yeast samples can be identified using the MALDI-TOF. If the MALDI-TOF results do not meet our quality standard, the samples will automatically be identified using a sequence identification at no extra charge. Delivery time of our MALDI-TOF identification service is 3 working days for the standard service or within one working day after we have received your sample(s) for our fast service!